A chic boutique hotel with a restaurant .Wonderful modern French-with-a-hint-of-Spanish food with very cool bar and lounge. Best restaurant in the area after the Chateau de Montreuil but with a much less expensive price tag – weekday lunch 17 euros, evening menus from 29 euros. Approximately 25 minutes from the house – a must! Both the owners speak excellent English. A brand new brasserie/restaurant very close to the house. Modestly priced meals, flexible eating options, children-friendly. Pretty dining room. Good variety of menus. An excellent and very atmospheric fish restaurant run by the local fishermen’s cooperative. Booking essential. Traditional French cuisine. Elaborate menus, good wine list (good for lunch - set menu). Traditional French cuisine. Also has an excellent café within the same building for lunch or just a drink. Reasonably priced, excellent wine list, delicious fresh vegetables picked straight from the garden. Just awarded ‘Bib gourmand’ in the 2006 Michelin guide. Classic French country cooking. Excellent wine. 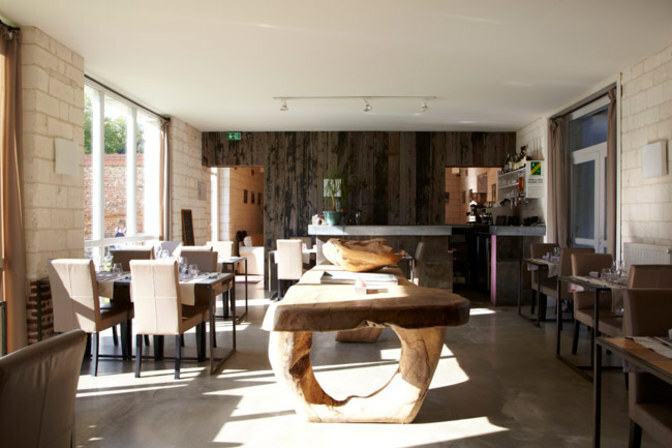 A new restaurant run by the son and daughter of Monsieur Germain, who runs Chateau de Montreuil. It's just next door to the Wine Society shop. Through an arch opposite the market square, this is a fun, franglais place. Cool decor and staff with tasty food and drink. We had classic steak frites and loved it, not too bad on the pocket either. It’s also possible to find tasty cooking on a smaller budget, especially on set menus at lunchtime. Below are a few of our favourite cafes for a good-value munch. Bustling, buzzy café on Hesdin’s main square. Good lunchtime menu of classics – steak frites etc. Extremely good value lunches (12 euros for 3 courses) and charming staff – sympathetic to vegetarian requests! We were once told this café was officially the ‘third best creperie in France, outside of Paris’! A steaming galette and a cup of cider in here after a bracing autumnal walk along the beach at Le Touquet is perfect.